After searching for over a decade, a team of divers have discovered the long-lost wreck of the Printz Friedrich, the Danish warship that sank in the Kattegat over 200 years ago. 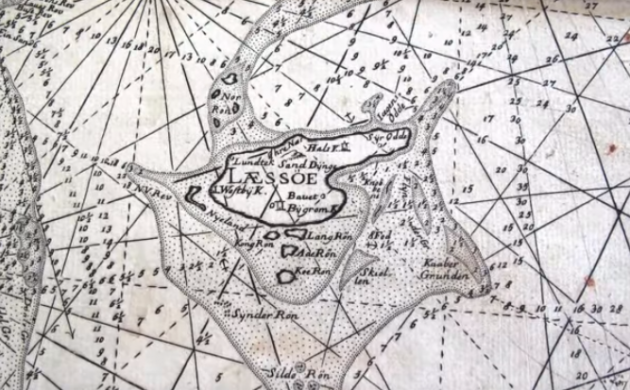 The divers used old maritime maps and high-tech equipment to find the 52-metre ship-of-the-line, which went down in rough seas near Læsø in September 1780 with 667 sailors and 70 cannons on board. The team of divers, led by Kim Schmidt, had searched over 104 square km of seabed, making more than 200 dives in vain in difficult conditions before locating the wreck. “I don’t really know what to compare it to. New love perhaps. Just when you meet the girl and get the first kiss. Yes! It happened,” Schmidt told TV2 News. The diving team found a lot of items in the wreckage that could provide insight into the historic ship, such as its origin. Aside from musket balls and a lead plate with a royal crown stamp, the wreck also yielded rapier butts made from brass. “These items aren’t that amazing alone, but the find of the ship-of-the-line is unique. It was a massive disaster for the Danish Navy. When Printz Friederich ran aground in 1780, a fifth of the navy’s capacity was lost,” Simon Kyhn-Madsen, a curator with Læsø Museum, told TV2 News. Schmidt hopes to acquire enough funds to make a trial excavation of the ship on the seafloor. Amazingly, given the times, only about eight sailors lost their lives in the sinking thanks to considerable rescue efforts using boats from land and Printz Friedrich’s own lifeboats.